We were up at 6:00 preparing the rig to travel today. Anne went to Middle Amana to pick up our order from the bakery. So good! 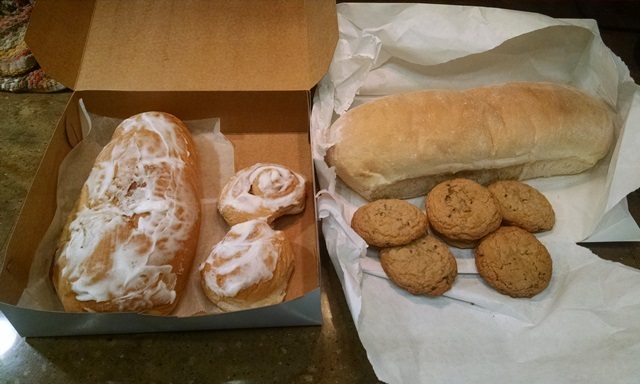 Cinnamon rolls, bread, cinnamon bread and chocolate chip cookies. Yep that’s why we gain weight on these trips. Got to get back to work. On the way back there was a beautiful view of the sunrise. Gorgeous start to the day. While Anne was out and about Max dumped holding tanks and got the coach almost ready to roll. After enjoying our cinnamon rolls it was time for our last “goodbyes”, “see you down the roads” and then we were on the road again. We left at 8:50 headed south with plans to make it to southern Missouri today. From Amana we drove back through Tiffin. 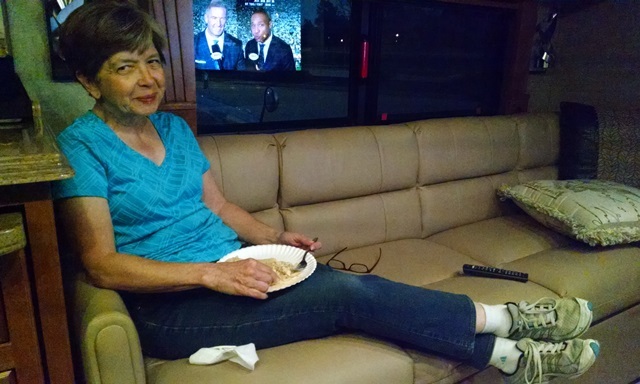 Should Tiffin Motor Homes have their home office be in Tiffin, Iowa? I’m pretty sure Mr. Tiffin would say no, especially since he doesn’t like cold weather. But it would be sort of cool. It would be too far for us to go for service, so guess they better stay in Red Bay. We were very thankful that we started the day with almost no wind. We did have a little wind this afternoon but nothing like yesterday. We drove US 218 and US 61 to I-70 to I-270 around St Louis, then on I-55 and are spending the night at the very nice Missouri welcome center near mile marker 40 tonight. 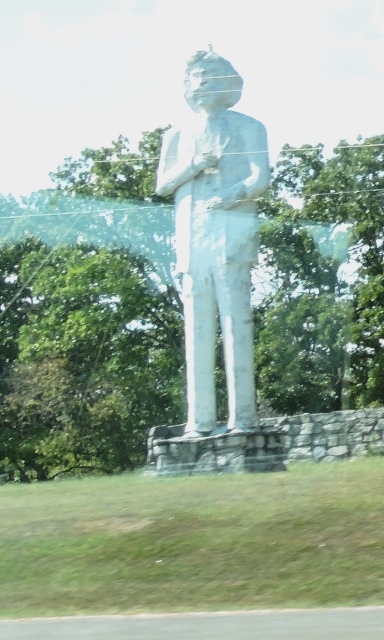 We could have driven further but we are going to Jackson, Ms tomorrow and don’t want to get there too early so this was a good stopping place. We had chicken salad (made by Max) and watermelon for supper and are settled in for a quiet night we hope. Oh my! Days like that are the reason we always thank God for uneventful travel days. So glad you are now all safely there. I would say that is not the recommended process for team building but it definitely took teamwork! Will be praying for you all as you start your project Monday. NO more excitement !